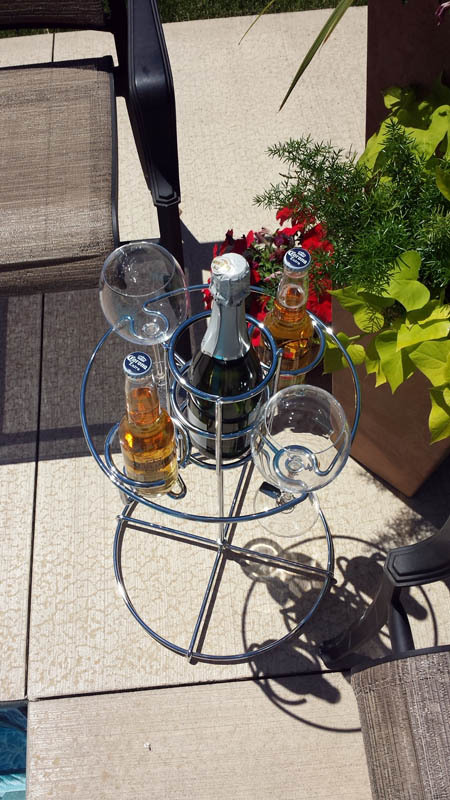 Backyard Butler 5 N' One Beverage Stand - Outdoors Unlimited, Inc. 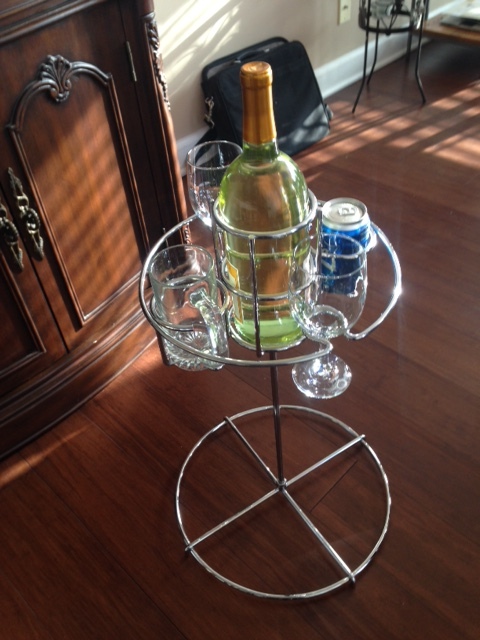 Outer ring accommodates: 2 Stemmed wine glasses and/or 2 slots for cups, mugs, bottles, or cans. 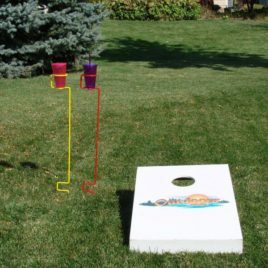 2-piece portable table with nylon storage bag. 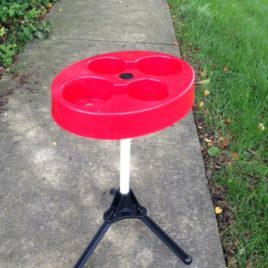 Red resin tabletop designed with 4 openings for beverage cans or mugs with handles. 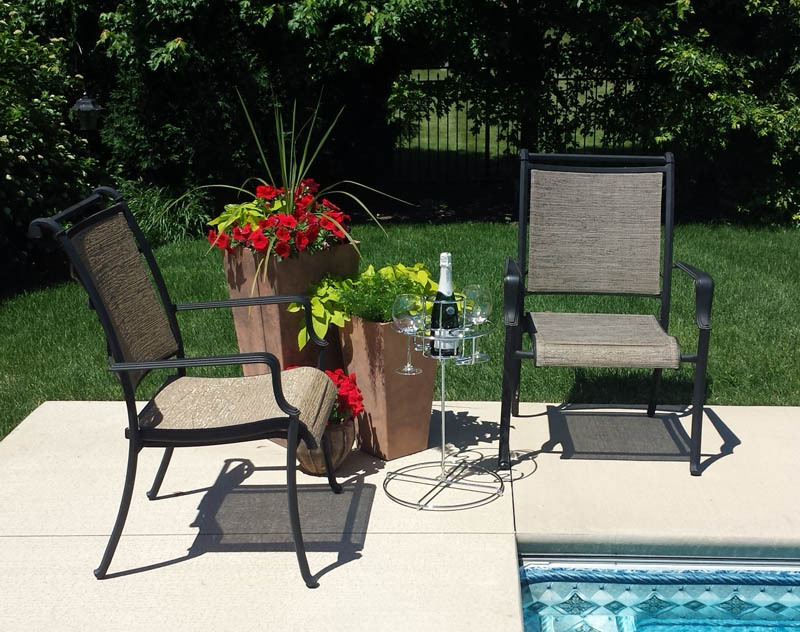 Base is a sturdy tripod that folds/collapses for storage. Setup Dimensions: 11”L x 9”W x 22”H. 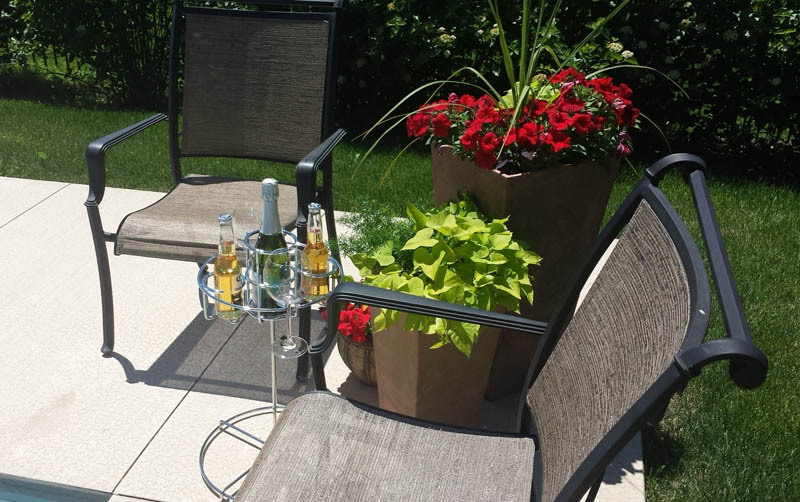 Heavy duty outdoor drink holder keeps your beverages close, clean & safe. Available in multiple colors or chrome. 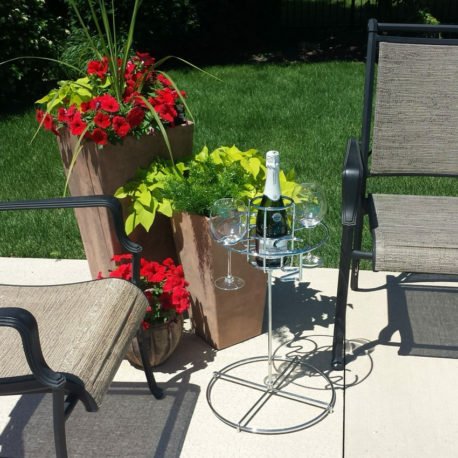 This Backyard Butler™ can be spiked into the ground. Ships in quantity of 2. 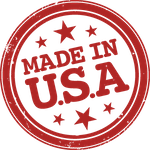 Now being manufactured in Canada also.